‘After Tiller,’ a documentary about the only four clinic-based late-term abortion providers in the country, is out in theaters tomorrow. The film “intimately explores the highly controversial subject of third-trimester abortions” and follows the four doctors and former colleagues of Dr. Tiller, who was murdered outside his church in 2009 by 52-year-old pro-life activist Scott Roeder. While it should be noted that not all pro-life and anti-choice activists aspire to be or will be the next Scott Roeder, the violence and extremism that exists in a movement led by ideological and religious righteousness is very real and very alarming. It also showcases a startling hypocrisy that a movement boasting a life-centric agenda (and let’s be honest, it’s not at all about the subjective concept of when “life” begins, it’s about controlling, oppressing and subordinating women) has fringe activists in their midst who would actually kill an abortion provider. Forget the notion that women choose to have abortions for all different reasons- some personal, some medical- that a woman exercising autonomy and her reproductive rights would incite so much anger that could only be quelled by inciting violence, intimidation and threats is what we are actually dealing with here. It’s also narcissistic, isn’t it, for pro-life and anti-choice activists to make women feel as if they know what is better for her health, mind, person or body than she does? 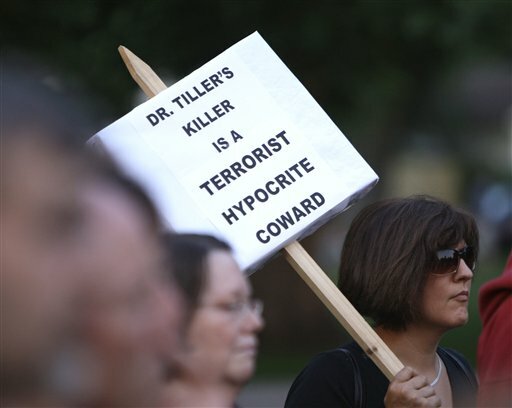 Dr. Tiller was a hero. He was, as his former colleagues are (also heroes: Susan Robinson, Shelley Sella, Warren Hern, and LeRoy Carhart), on the front lines of a war. Every day, women are fighting for autonomy and agency over our own bodies, over the skin we live in. I’d like to personally thank Drs. Robinson, Sella, Hern and Carhart, as well as the late Dr. Tiller, for your incredible strength and perseverance. We can’t fight this fight without you. After Tiller is in theaters tomorrow, September 20, 2013. *This is an updated version of the original article that has been edited to clarify that the writer’s opinions are solely her own.